Many of us take a complicated mixture of different types of Parkinson's drugs, with different doses, at different times. The concept of LED (levodopa equivalent dose) gives a rough way to compare two medication regimes. For instance, 8mg of ropinirole has, very roughly, about the same effect as 160mg of levodopa (taken with carbidopa). I repeat LED is a rough measure: the conversion factors are estimates, differences between people are not considered, side effects are not included, and the time profile of the drugs is not considered. But, it does give a starting point to discussions of your medication regime. Sinemet isn't on the chart John - is this just Levadopa? Sinemet is the brand name of levodopa with carbidopa. I've added Sinemet to the drop down list. Nowadays, levodopa usually comes with something like carbidopa or benserazide in order to increase its bio-availability. The situation is confused because in the LED literature, and both casual conversation and even sometimes in scientific papers, levodopa is mentioned in isolation, when what is meant is levodopa taken with carbidopa. Rather than LED it should really be LTWCED (levodopa taken with carbidopa equivalent dose)! I've kept to this convention: in the program levodopa means levodopa with carbidopa. I'm still a bit confused about what figures to enter for my husband's intake, so would be grateful for your help. His medication is as follows: 5 x Madopar 25/100 daily, 1 x Requip XL 8mg and 3 x Sinemet CR 50/200. Would you mind working out for me how much he takes daily, when you get time? No problem. For the Sinemet CR you could input levodopa CR, but I've added Sinemet CR to the program. The calculation is as follows. Thanks very much for doing that John. I appreciate what you say about the many different factors involved with an individual, but, in general, does this sound like a particularly high dose to you? You ask whether your husband's LEDD of 1110mg is high. Certainly, it is higher than the mean for the whole Parkinson's population, including those just diagnosed. That is not the same as saying that it is higher than it should be. Neither, without knowing more, would I describe it as unusually high. Rather than start with the LEDD, I think we should all begin by asking the question: Are we doing well? Only if we are doing badly should we and our doctors look at the LEDD to help inform us on how to improve the situation. My husband is seven years in from diagnosis, six years on medication, and is still pretty active, walking two miles daily and using the exercise bike daily for 15 minutes. Clearly the LEDD situation is a very complex matter, with many factors needing to be taken into account. I guess the bottom line is that we just have to trust our physician. You write that "the bottom line is that we just have to trust our physician". For some illnesses, such as heart attack, this is true. But, as I see it, PD is different: its slow progression means that you have 10 - 20 years to get up to speed in understanding the disease. This means that you can work with medical staff to get the best treatment for you. Doctors are only human, they sometimes make mistakes. They see us for, perhaps, 30 minutes, twice a year; we see ourselves 24/7. We need to co-manage our treatment. Yes, I take your point on consultants/medication in the overall, general sense. What I referred to about trusting the physician was simply in connection with our latest consultation, where I expressed concern about my husband's current level of Levodopa. The consultant reassured us that, after taking everything into consideration, John's current Levodopa intake was not necessarily above average, and was in fact "in keeping" for someone with "mid-stage" Parkinson's. I was more upset with the term "mid-stage", for some illogical reason, as I felt that 7 years from diagnosis (six on meds) wasn't that long, although I know the general line when diagnosed is usually that the first five years go quite well, the second five years reasonably well (if you're lucky) and thereafter is in the lap of the gods. I guess we just have to hope like mad that the "mid-stage" lasts as long as possible. I'm not a doctor, so make of this what you will. It seems to me that your drug regime is typical for someone 3 years post diagnosis. Once you are over the nausea stage, I would try to take my meds at least 1 hour away from eating. This is because protein in the diet reduces the amount of levodopa that reaches the brain..
Why apprehensive? Levodopa is generally very well tolerated, better than a dopamine agonist like ropinerole. and more effective, no need to fear it. Do not increase it too soon, it is still the best drug for PD. funny how certain comments from the consultant can really bother you. Obviously it means little to the neurologist. Mine said, " well, what are you complaining about, you've had it for more than 16 years. 50% of patients are dead after that length of time!" The complaining was about the difficulties of managing the (to me) sudden speed of progression of the disease I am experiencing this year. A consultant seeing you 30 minutes twice a year, you're extremely lucky if you get that! It is a ten minute slot we get, so just imagine some patients walk very slowly, when called in and speak with difficulty. How much information can be exchanged/discussed in so short a time,! I get the impression that, when the going gets tough and the complications of the disease, combined with the side effects of the drugs really start to impact and accumulate and major problems are cropping up all over the place, most of the consultants have very little experience (and success) in how to treat it. You and/or your carer are left to get on with it, cope as well as you can and try any of their suggestions, but in essence you're on your own. Parkinson's Disease in the more advanced stages should be treated by a multi-disciplinary team. Really good treatment would be too expensive, not only because of the newer drugs(duodopa) and procedures (DBS), but clearly also in manpower hours . Hi, I read this forum often but don't usually comment, I was alarmed after reading abut the LEED . Since adding the Rasigiline he falls asleep throughout the day abd complans of light headedness. His movement is the worst of his problems at the moment, but now I am concerned that he is either over medicated or much further down the road of this awful PD. Any advise wold be really aappreciated, we too have trusted the neurologist. Please feel free to give us a ring on 0808 800 0303 (Monday-Friday: 9am-7pm, Saturday: 10am-2pm) if you'd like to talk to our trained advisers (including specialist Parkinson's nurses) about your husband's symptoms and medication. 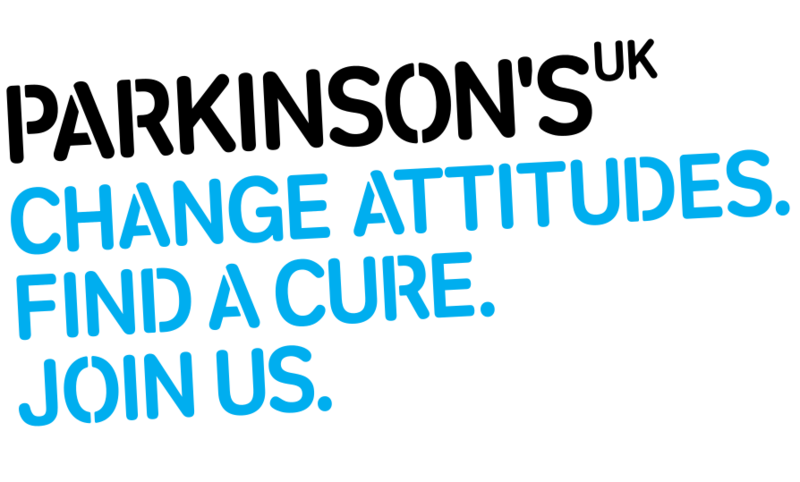 Our advisers can provide information and advice about all aspects of living with Parkinson's, such as medical issues, including symptoms and treatments. I too take Madopar and Entacapone, 5 x 100/25 per day, and Madopar CR 100 last thing.and another Madopar 50/12,5 at about 4am. Diagnosed 2014. I am surprised that your OH takes CR during the day- usually only prescribed for nighttime. My consultant added Rasagiline (Azilect) In December hoping to help my movement, the worst of my symptoms, but about 3 weeks ago I stopped taking this because it was increasingly making me feel very sleepy during the day and slightly nauseous and wobbly. Back to normal now! It didn't help my mobility significantly so no loss there. Has anyone got a partner on rivastigmine? My husband's consultant has suggested this for his currently mild memory loss. Needless to say I'm distraught at the thought he might be heading towards dementia. Any words of comfort out there please? Hello everybody, I’de like to have a piece of information regarding Safinamide. I’m looking everywhere around Pub Med and the internet to find a conversion factor in order to calculate the total LED of a subject that takes Sinemet (600mg/die) and Safinamide (50mg/die). Has anyone a clue about this? Thanks a lot in advance! I, too, have been unsuccessful in finding the scaling factor for safinamide.
" … safinamide has not been compared with other active treatments in a head-to-head trial, so no information is available on how its efficacy and safety compares with other treatments, particularly other MAO-B inhibitors. The EPAR states that indirect comparisons of data on safinamide with historical data on other treatments, such as rasagiline … were considered favourably". Once you have disabled all the MAO-B, increasing the dose of an inhibitor has no further effect. For rasagiline this threshold is approximately 1mg, giving a benefit equivalent to a dose of 100mg levodopa. But, and this is a very crude estimate, if pushed I would suggest that both a 50mg and 100mg dose of safinimide would have the same LED estimate as 1mg rasagiline. From this it follows that you map both 50mg and 100mg of safinamide to 100mg Sinemet (L/C). The LED measure is based on the pharmacodynamics of the drug concerned (what the drug does to the body). If you are interested in the pharmacokinetics of safinamide (what the body does to the drug), you need to take into account both the absorption of safinamide and its effectiveness at inhibiting MAO-B. Again a rough approximation is to assume that because the half-life of safinamide (23 hours , compared with approximately 90 minutes for levodopa) is so long its efficacy is constant throughout the analysis. My apps don’t include safinamide, because of this lack of data. To use my apps , the basic LED calculator, and , the graph drawing program of LED changes through the day, the work-around is to just enter 1mg rasagiline instead.